1. Course includes Welcome and Getting Started content. By welcoming learners to the course and providing context for what they will be learning, the instructor sets a tone for success from the start of the course. Learners benefit from an overview of the course, with general information about the nature and purpose of the course, the course activities, grading structure, and where to find the specific information on each. Course introduction can be done via text or an instructor introductory video with an accompanying script for ADA compliance. Give a general course overview introducing the learners to the course topic and sequence. Include instructions about how to get started and what to do first. Consider creating a FAQ (or a self-test/quiz) addressing important elements in the course. Dulaney, E. (2013). Does the Credibility of the Presenter Influence Acceptance of Content in the Classroom. American International Journal of Social Science, 2(4), 14-20. Russo, T. C., & Campbell, S. W. (2004). Perceptions of mediated presence in an asynchronous online course: Interplay of communication behaviors and medium. Distance Education, 25(2), 215 – 232. Widmeyer, W. N. & Loy, J. W. (1988). When you’re hot, you’re hot! Warm-cold effects in first impressions of persons and teaching effectiveness. Journal of Educational Psychology, 80(1), 118-121. 2. An orientation or overview is provided for the course overall, as well as in each module. Students know how to navigate and what tasks are due. Adult learners benefit from knowing what they are about to learn, as well as the scope of work and time commitment expected from them. Providing an overview of the online course will prepare students for what, when, where and why they will be learning, and an overview of each course module will provide information on, in advance, what content, interaction, and assessment will take place within a specific period of time. These “advance organizers” will help students plan around conflicting priorities (school, family, children, work) and better manage their time. The module orientation should include at least a short introduction to the module topic, and indicate what materials need to be reviewed, and what activities and assignments need to be completed. Remember to include due dates for every assignment and activity included in the module. This will help your students stay on track! Taylor, Dunn, and Winn (2015) write that ensuring that students feel comfortable within the online course setting – knowing how to navigate, and what is expected – will set students up for success. Providing course and module overviews provide students with a means to navigate the course so that they can stay on track and succeed in their learning. Taylor, J. M., Dunn, M., & Winn, S. K. (2015). Innovative Orientation Leads to Improved Success in Online Courses. Online Learning, 19(4). Provide a detailed written description of the types of learning activities learners will engage in, including all content, interaction, and assessment types included in the course. Be sure to include the expected time required to participate and engage fully in the course each week throughout the term (e.g. “Please expect nine hours per week…”). Create a short video introductory overview tour of your course within the LMS using a screencasting tool (i.e. Jing, SnagIt, Captivate, Mix). This can help students better navigate the course space, by letting them see the structure of learning modules and how to locate and access all course materials. Create a course map or calendar to visualize the sequence of course modules, types of learning activities, anticipated duration of each activity, and indications of when assignments are due. 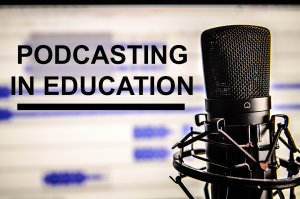 Bring attention to the most important elements of the online class, such as learning objectives, communication channels, required outside resources, and due dates. Consider the questions students might ask about the course (access, navigation, learning materials, due dates) and try to answer them within the orientation/overview. An introductory paragraph about the topics to be covered within the module, and how they fit within the scope of the full subject being covered in the course. A list of module specific learning objectives. A list and/or explanation of key concepts that will be covered. Assigned readings and associated resources to review, including dates that students should expect to have completed each reading and/or resources. Due dates for all assignments, even if stated elsewhere. These reminders will help students stay on track. A link back to the overall course schedule and/or course map. 3. Course includes a Course Information area that deconstructs the syllabus for learners in a clear and navigable way. A course information area should break the course syllabus down into smaller chunks of information for the students to easily access and review. Deconstruction of the syllabus enables learners to find varied, discrete course information quickly with one or two clicks, rather than reading through the entire syllabus document. A recommended approach to developing the course information area is to create individual documents (or pages) within the LMS with descriptive titles and relevance. This information can mirror the information in the syllabus, and provide an additional means through which students can orient themselves to the online course. Simunich, Robins, and Kelly (2015) found that courses with high levels of findability, based on careful development and placement of course information materials, have a direct impact on student perceptions of course quality and experience, and successful learning outcomes. Clarity in naming conventions is key. In this introductory space it is extremely important to call content, interaction, and assessment items by their simple names – an exam should be referred to as an exam, a case study should be referred to as such, and the same for any interaction elements such as discussion forums. Use active language to guide students to take action – for example, course information pages can be titled, “Purchase Required Textbooks”, “Read through Interaction Guidelines”, “Print out the Course Calendar”, “Take Note of Office Hours”, and the like. These active titles act as key signposts for students to navigate through the online course, and when the quickly want to find that information again – making for a high level of findability in your course. The course information area is designed to help your students find their way through the most important details related to participating and succeeding in the online course. I encourage you to explore the documents in this module for more information about the course learning objectives, grading criteria, learning activities, and expectations. If you have any questions or concerns, please reach out to me immediately via the course messaging tool. Remember to Introduce the Course Information area in your course overview, and refer back to it consistently throughout your course. For example, in your discussion forum instructions, direct students to the Course Information are for more information about interaction guidelines and expectations. Morville, P. 2005. Ambient findability. Sebastopol, CA: O’Reilly. 4. A printable syllabus is available to learners (PDF, HTML). Some learners prefer to print a syllabus for offline reference. A single document is preferred for easy printing. Have syllabus in easily printable format such as PDF or HTML, not Word. 5. Course includes links to relevant campus policies on plagiarism, computer use, student grievances, accommodating disabilities, etc. Course has clear policies and/ or links to institutional resources for learners to consult regarding how to file a grievance, campus computer use policies, and the disability office. Instructors can reinforce this in the Course Information section. Learners should feel connected to their campus through their online courses. Design course by modeling the acknowledgment of the work of others and ensure that course materials follow copyright, creative commons, and fair use guidelines. Create course information to address academic integrity in the online course using campus policies, examples, tutorials, lessons, etc. Apply course design principles that promote academic integrity, for example incorporate formative assessments and explicitly define acceptable learner collaboration. Provide links to campus policies in the course syllabus. 6. Course provides access to campus and Open SUNY resources (technical help, orientation, tutoring). Having easy access to support prepares learners for success in the online environment and reduces frustration. For many campuses, a “page” is provided and inserted into each course with links to administrative, academic, and technical resources available to the learner. This page can be maintained by campus staff to ensure viability and easy access. This access should comprise less than three clicks from the homepage of the course. 7. Course information states whether the course is fully online, blended, or web-enhanced. Make clear what the course format is- completely online, blended or web enhanced. This information should be included in the syllabus or course information area. For blended courses, learners will need a clear understanding of the ratio between synchronous and asynchronous requirements. Fully online: All interaction, communication, assignments, assessments, and course related information is shared through the online course shell. Learners have the expectation of interacting only through the online course. Blended (or Hybrid): Interactivity between the instructor and learners occurs in both the synchronous (face-to-face) and asynchronous (online course shell) environments. “Seat time” is usually required at a specific threshold (50%), depending on the requirements of the campus. Web Enhanced: Instructor/Learner interaction occurs in the synchronous environment mainly, with resources accessible in an accompanying online course shell, used at the discretion of the instructor. No “seat time” is expected to be replaced by online activity, unless clearly expressed by the instructor. 8. Appropriate methods and devices for accessing and participating in the course are communicated (mobile, publisher websites, secure content, pop-ups, browser issue, microphone, webcam). With Blackboard Learn, some features of an online course are accessible from a mobile device, while others are not. This can be a potential source of confusion for learners. 9. Course objectives/outcomes are clearly defined, measurable, and aligned to student learning activities and assessments. Learners need to know how what they are learning and what they are required to demonstrate and connect to the course outcomes. The relevance of what they are learning is important (Knowles, 1984). Connecting objectives to activities provides context and relevance. Program objectives, course objectives and module level objectives should all be aligned. Objectives should be aligned with the learners’ perspective and appropriate to the level of rigor for the particular program of study. Ensure the activities and assessments are mapped to these outcomes. Knowles, M. (1984). Andragogy in Action. San Francisco: Jossey-Bass. Avoid “busy work” or assignments not clearly aligned with stated outcomes. Be transparent about how the assignments map to the outcomes. Use verbs that are measurable in describing outcomes. “Learners will understand” is not measurable. How will learners demonstrate “understanding”? Preferred: “You will research and write a five page research paper to demonstrate your understanding of x” is a measurable activity. Note the use of the 2nd person (you/your) in communicating the objectives. 10. Course provides contact information for instructor, department, and program. Provide opportunities for private communication with the instructor. Include department and program information. This helps learners who are completely online get a sense of orientation and inclusion with the instructor and the overall program. Email address, office phone number, office hours, etc. should be prominently displayed in course, in the deconstructed syllabus area as well as on the printable version of the syllabus. 11. Requisite skills for using technology tools (websites, software, and hardware) are clearly stated and supported with resources. For third party content (publisher websites, subscriptions), learners should be provided links to the relevant assistive resources provided by those companies. 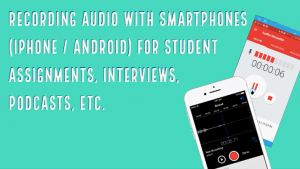 If learners are required to use technology (microphone, webcam, etc. ), the requirements for usage should be in the Course Information documents at the beginning of the course. 12. Technical skills required for participation in course learning activities scaffold in a timely manner (orientation, practice, and application – where appropriate). Learners should be provided ample time to set up, practice and troubleshoot 3rd party tools. 13. Frequently used technology tools are easily accessed. Any tools not being utilized are removed from the course menu. 14. Course includes links to privacy policies for technology tools. Learners should be provided access to information about the degree to which their data (identities, submissions, logons) can be monitored, collected, and distributed either by the LMS or through the registration process for an external tool (online workbook, blog tool, etc.). 15. Any technology tools meet accessibility standards. 16. A logical, consistent, and uncluttered layout is established. The course is easy to navigate (consistent color scheme and icon layout, related content organized together, self-evident titles). Create cohesive online course structure that is logically sequenced and paced. This includes consistency in the design of learning modules, assignments, and rubrics. Redundancy (the same documents appearing in several locations) is favored, as such repetition helps learners navigate easily to relevant information without searching extensively. 17. Large blocks of information are divided into manageable sections with ample white space around and between the blocks. 18. There is enough contrast between text and background for the content to be easily viewed. 19. Instructions are provided and well written. 20. Course is free of grammatical and spelling errors. 21. Text is formatted with titles, headings, and other styles to enhance readability and improve the structure of the document. 22. Flashing and blinking text are avoided. 23. A sans-serif font with a standard size of at least 12 pt is used. 24. When possible, information is displayed in a linear format instead of as a table. 25. Tables are accompanied by a title and summary description. 26. Table header rows and columns are assigned. 27. 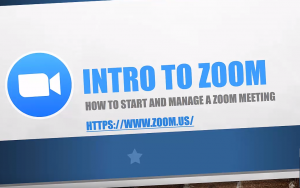 Slideshows use a predefined slide layout and include unique slide titles. 28. For all slideshows, there are simple, non-automatic transitions between slides. 29. Course offers access to a variety of engaging resources that facilitate communication and collaboration, deliver content, and support student learning and engagement. Learners benefit more from tasks than from simple presentation of content. External readings, assignments, discussions, interactive web sites, online assessments (formative and summative) … should all be connected clearly to learning the course content. Learners engage in these activities more readily when relevance to the course content is clear to them. Incorporate (and/or embed) assessments and feedback tools (e.g., turnitin, McGraw Hill, my mathlab, Merlot, OER, etc. ) publisher test banks, quizzes, surveys, video, audio, etc. A scavenger hunt can be used to help orient students to an online course at the beginning of the term (Chen, H-L and Staber, G., n.d.). This activity works like a traditional scavenger hunt, as one gives the students specific instructions as to what they are to look for in the course. By completing the activities, students navigate through the online classroom and become comfortable with where things are located. One might also give students instructions for locating institutional resources or student services. Read more…. Converting the information contained in a PowerPoint presentation into multiple wiki pages can help online students process and understand the material in a more effective way. Images, videos, text, audio, and other interactive elements can be added to support the information previously included on PowerPoint slides. Wiki pages seamlessly integrate with the existing online course and are also typically more accessible for technologies such as screen readers and mobile devices. Read more…. 30. Course provides activities for students to develop higher-order thinking and problem-solving skills, such as critical reflection and analysis. Cognitive presence is the extent to which learners are able to construct and confirm meaning through sustained reflection and discourse (Garrison, Anderson, & Archer, 2001). Where the learner thinks critically, he or she goes through the process of constructing knowledge, inquiring, exploring, and thinking. Create activities that allow learners to reflect individually and as a group about what they are learning, how they know they are learning, and what is helping and hindering their learning. Create activities that provide opportunities for learners to be puzzled (the notion of adequate challenge and perplexity), giving them the opportunity to recognize problems and construct knowledge through collaboration and interaction (collaborative inquiry). 31. Course provides activities that emulate real world applications of the discipline, such as experiential learning, case studies, and problem-based activities. Relevance is central to adult learning. (Malcom Knowles) When the adult learner can apply a learning activity to practical value beyond the duration of the course, relevance is established between the stated learning objective, the learning activity, and the assessment of that activity. Knowles, M. (1984). The Adult Learner: A Neglected Species (3rd Ed.). Houston: Gulf Publishing. Experiential learning – Many online instructors assign “offline” activites to learners, and have the learners “debrief” in the online environment. Many online Nursing courses have “clinical study” requirements that require learners to document their experiences in the online environment. Foreign language learners could be required to have interactions with native speakers (online) and summarize their experiences. Case studies – These are often leveraged best as small group activities or discussion forum artifacts. 32. Where available, Open Educational Resources, free, or low cost materials are used. Open SUNY is committed to using low cost instructional materials wherever possible in order to reduce the financial burden on learners. Your campus librarian is a good resource for help on this; as well, see the Open SUNY Affordable Learning Solutions (ALS) webpage. 33. Course materials and resources include copyright and licensing status, clearly stating permission to share where applicable. Resources and materials in the course should all be properly cited. In doing so, instructors and programs model good academic citizenship. 34. Text content is available in an easily accessed format, preferably HTML. All text content is readable by assistive technology, including a PDF or any text contained in an image. 35. A text equivalent for every non-text element is provided (“alt” tags, captions, transcripts, etc.). 36. Text, graphics, and images are understandable when viewed without color. Text should be used as a primary method for delivering information. 37. Hyperlink text is descriptive and makes sense when out of context (avoid using “click here”). 38. Expectations for timely and regular feedback from the instructor are clearly stated (questions, email, assignments). By setting learner expectations upfront, instructors avoid having a lot of questions asked via the Ask a Question discussion area or by email, thus reducing time on extra tasks. Learners will experience less frustration if they know what to expect. State the expectations learners should have for answers to their questions, grades, and private communication in the Course Information documents, such as the syllabus. 39. Expectations for interaction are clearly stated (netiquette, grade weighting, models/examples, and timing and frequency of contributions). Expectations for assignments, class participation, proctoring, due dates, and attendance requirements should all be clear to the learner. Adult learners expect and benefit from understanding the parameters and rationale of the learning activities in a course up front. Outlining clear expectations for timing and frequency of contributions, as well as what type of standards should be upheld when working on particular activities helps learners to be successful and reduces frustration caused by ambiguity. For blended courses, provide clear guidelines for synchronous (in-class) and asynchronous (online) participation. Reference netiquette info and model respect in discussions. Clearly outline the expectations for discussion participation, for example, the timing and number of contributions. Indicate how learner participation will be graded. Include instructions about spelling and grammar expectations. Specify and give examples of how learners should title their discussion posts. Discussion post subject lines give learners an opportunity to practice summarizing and clear communication, skills that are important in the professional world. It also helps other learners find their posts more easily because the content is summarized in the subject line. 40. Students have an opportunity to get to know the instructor. Social presence is the ability of learners to project their personal characteristics into the community of inquiry, thereby presenting themselves as ‘real people.’ (Garrison, Anderson, & Archer, 2001). When learners understand the background of their instructor, the “distance” between instructor/learners is mitigated. The tone and approach of the instructor in regard to self-introduction will serve as a model for learners. It is important that learners feel the instructor is easily accessible, and willing to communicate consistently throughout the course. An instructor introductory video with accompanying script for ADA compliance is a wonderful way for learners to get to know the instructor. Communicate effectively to establish and maintain Social Presence in the online class community. Create an instructor profile/contact, content, images/photos, announcements, instructions for activities with personal “voice” to establish the instructor’s social presence and credibility in the course. A document/page that explains what learners can expect from the instructor (feedback expectations, login frequency, discussion participation) can help them feel at ease with understanding a particular classroom management style. 41. Course contains resources or activities intended to build a sense of class community, support open communication, and establish trust (at least one of the following – Ice-breaker, Bulletin Board, Meet Your Classmates, Ask a Question discussion forums). Building a sense of community mitigates the solitude of the online learner. Courses that promote class community help learning occur “in a social context” (Dewey) and mitigate the perception of a correspondence course. Build and encourage rapport with and between online learners and the instructor via the communication tools available in the LMS. Create opportunities for social, non-course related discussion. Design a way for learners to introduce themselves personally (requesting a profile/contact image/avatar, likes/dislikes, hobbies, interests, etc.). 42. Course offers opportunities for student to student interaction and constructive collaboration. Incorporate group work and peer review assignments as appropriate to support social, teaching and cognitive presences. By requiring learners to engage with each other, the design of such activities requires them to assume more responsibility for their own learning. This often leads to a deeper level of engagement. The instructor’s role changes more to facilitator, moderating and evaluating the quality and quantity of interaction between learners. 43. Students are encouraged to share resources and inject knowledge from diverse sources of information in their course interactions. Inviting learners to reach out beyond a textbook or assigned readings empowers them to understand a wider scope of research and perspectives. When exposed to different information sources, learners have the opportunity to discern the integrity of those sources and (possibly) share those perceptions with each other. Collaborative research projects, citation of information sources, constructing knowledge, creating shared references for all to use. Discussion forums and assignments can be designed in a way to require learners to find and cite sources other than their assigned texts. Some instructors create and curate a “Shared Reference” document (or module) that aggregates diverse information sources submitted by learners. 44. Course grading policies, including consequences of late submissions, are clearly stated in the course information area or syllabus. Learners need to know how their work will be assessed in a clear and transparent manner. Make grading policies explicit and easy to find in the course documents, such as the syllabus. 45. Course includes frequent and appropriate methods to assess students’ mastery of content. Consistent and regular assessments help learners demonstrate their progress and deficiencies. Incorporate (and/or embed) assessments and feedback tools (e.g., turnitin, McGraw Hill, MyLab, Merlot, OER, etc.) publisher test banks, quizzes, surveys, video, audio, etc. 46. Criteria for the assessment of a graded assignment are clearly articulated (rubrics, exemplary work). Establish and communicate clear grading schema. Rubrics are recommended as a best practice for communicating criteria and achievement levels for particular assignments. Provide examples of work that model the performance you require of learners. Create rubrics and rubric-related instructions, guidelines, and documentation available in the Course Information area so that learners can access it prior to the activity. Provide examples of how the rubric is applied; create links to them in appropriate/relevant locations in the course. Andrade, H. 2000. Using rubrics to promote thinking and learning. Educational Leadership 57, no. 5: 13-18. Reddy, Y., & Andrade, H. (2010). A review of rubric use in higher education. Assessment & Evaluation In Higher Education, 35(4). 47. Students have opportunities to review their performance and assess their own learning throughout the course (pre-tests, automated self-tests, reflective assignments, etc.). Self assessment has been shown to play a role in self-efficacy, fosters learners’ abilities to construct meaning, and promotes metacognition. Schunk, D. H. 2004. Learning Theories: An Educational Perspective. Upper Saddle River, N.J.: Merrill Prentice/Hall. Shepard, L. A. 2001. “The Role of Classroom Assessment in Teaching and Learning.” In Handbook of Research on Teaching, ed. V. Richardson, 4th ed. Washington, D.C.: American Educational Research Association. 48. Students are informed when a timed response is required. Proper lead time is provided to ensure there is an opportunity to prepare an accommodation. 49. Students have easy access to a well designed and up-to-date gradebook. The gradebook should be easy to navigate and clear. Useful links to the gradebook throughout the course: main navigation bars, module views, Course Menu. Learners benefit from easily viewing missing assignments. Short assignment titles/headings in gradebook maximize the number of columns on a single screen. 50. Students have multiple opportunities to provide descriptive feedback on course design, course content, course experience, and ease of online technology. Assess the efficacy of the online teaching and learning process. Create metacognitive learning activities that ask learners to reflect and express what they are learning, how they know they are learning, and what is helping or hindering their learning using a journal, blog, etc. a discussion to collect feedback at the end of an activity.